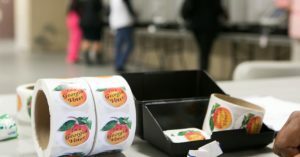 In what civil rights advocates celebrated as an “important victory” for voting rights and democracy less than two weeks away from the midterm elections, a federal judge on Wednesday ruled that Georgia election officials must stop tossing out absentee ballots and applications due to signature mismatches without first giving voters an opportunity to fix or dispute any alleged errors. U.S. District Judge Leigh May’s decision comes amid an aggressive voter suppression in Georgia led by Republican Secretary of State and gubernatorial candidate Brian Kemp. As Common Dreams reported, Kemp has purged hundreds of thousands of voters from the rolls in the weeks leading up to the Nov. 6 midterm elections what civil rights groups have denounced as a blatant effort to suppress minority turnout.